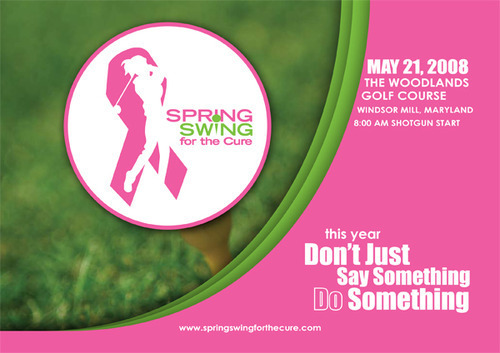 Throwback Thursday – Spring Swing for the Cure! Blast from the past! We would just like to highlight some of the older stuff we’ve done. A project from the past, if you will. It’s National Breast Cancer Awareness Month, so we want to highlight a project that was involved with breast cancer awareness. 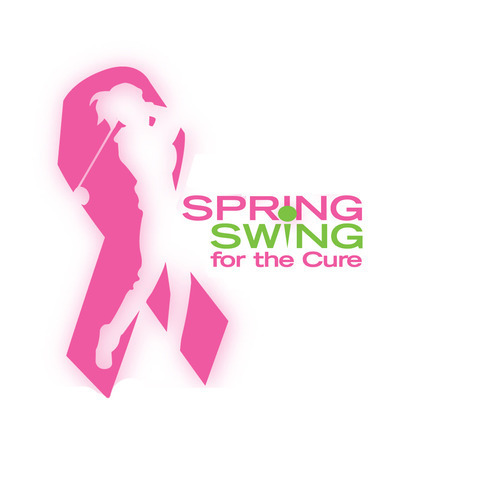 This week, we want to talk about Spring Swing For The Cure! This was a golf tournament back in 2008, to raise funding for the fight against breast cancer. We got the chance to design their logo, businesscard and do a booklet as well. Here, we included a breast cancer awareness ribbon as a base, then played with combining green and pink. 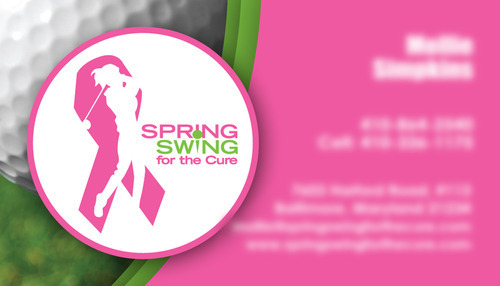 With the businesscard, We kept going with the green and pink colors, by including a shot of a golf course’s grass. The booklet for the event was the best part of this project. We kept the green/pink combo and the close-up of the golf course elements. My favorite part is how the green swoops going up the page seem to be coming from the golfer in the logo’s swing. Here is a spread of some pages of the book. This was a fun, productive project that went towards a great cause. We here at MOS Creative loved this project, and hope to do more just like it. Check out our Tumblr for other fun/cool stuff!